"Darling it's better, down where it's wetter, take it from me!" laughed Intertops' casino manager. "I think players are really going to like what this game's expanding wild shark does for their wins!" Scuba Fishing is a 27-Ways-Pay game so there aren’t specific pay-lines – anywhere and any way that symbols appear in a winning combination wins – up to 7500X the bet. Scuba Fishing is a three-reel video slot with RTG's highly rewarding "27 Ways Pay" feature. Swordfish, Marlins, Sea Bass, Urchins, Oysters and Coral spin on its five reels. The Shark symbol is Wild and expands to cover the entire reel when it appears on the middle reel. This triggers the Re-spin feature. The stacked Wild sticks for the re-spin to improve chances of another win. 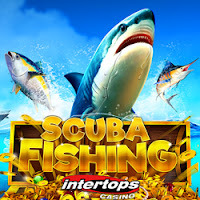 You automatically earn points when you play Scuba Fishing, or any of the hundreds of games in Intertops' download and instant play casinos for laptop and desktop computers or in the mobile casino for smartphones and tablets. Every week during the current Oktoberfest bonus competition which continues until October 8th, the players with the most points will win $30,000 in bonus prizes. 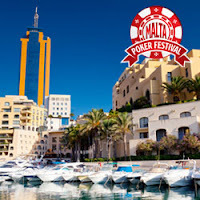 Intertops Casino has been entertaining players all over the world for more than twenty years and is known for its wide selection of online casino games, generous casino bonuses and friendly customer service. Wagering requirement is 30X deposit + bonus, 10X for free spins. Additional information on the new Scuba Fishing game is available at https://casino.intertops.eu/en/slots/503-scuba-fishing.